Many fans know Damien Shields by his writings on Michael Jackson’s music and projects related to it. Following the successful release of his new book, Xscape Origins: The Songs and Stories Michael Jackson Left Behind, Damien has agreed to give MJ.ru an exclusive interview. We used this opportunity to ask him about his life as an MJ-fan, his opinions and the research that goes into his articles and books. Damien, when did you become a Michael Jackson fan? What was your first introduction to Michael, and how long did it take you to become absorbed? I guess that goes to show that Michael’s art truly is the most captivating thing about him. I didn’t know or care whether he was black or white, male or female, or whatever else. I knew I loved the song (“The Way You Make Me Feel”) and I knew I wanted to know who the singer was. But what really got me into Michael was, like many other fans my age, the 30th Anniversary Celebration shows from New York in 2001. That show gave context. It presented the current Michael Jackson (at the time) as well as showcasing his career in retrospect. But it wasn’t until even later that my fandom really took off. You see, I come from a family who got its first computer in late 2002. Prior to that I had read every book in my school and public libraries, and had taped and watched (hundreds of times) all MJ-related items from television, but my access to information on this mysterious figure was severely limited until late 2002. From there, the sky was the limit, and boy did I go to the sky with my Michael Jackson obsession! Have you ever seen Michael in real life? Been to his show? Never. I live in Australia, and the last time Michael travelled to Australia I was only eight. I did watch the HIStory tour on Channel 9 here when Molly Meldrum aired a Hey, Hey, It’s Saturday! Special on Michael. But I never saw him live, or met him. I did, however, have tickets to see eight of his This Is It shows in London. I had booked flights and time off work to spend six weeks in the UK – just seeing MJ over and over. I’d saved my entire life for it. That was the moment. That was it! But, alas. May he rest in peace. What does Michael mean to you? Do you see him more as a performer, a composer, a humanitarian or something else? What sides or qualities do you admire about him most? Michael Jackson is basically a real-life superhero. Obviously he’s among the greatest singers, songwriters, composers, dancers, performers, and all-round artistic visionaries the world has EVER seen. And remember, he’s among the TOP of the list in ALL those categories – no other human being in entertainment history has even come CLOSE to achieving that level of acclaim! But take it ALL away – all the short films, the albums, his singles, tours, the moonwalk, the Thriller video, all of it – and he’s STILL a real-life superhero based on his humanitarianism alone. I mean, giving $300 million of your earnings to charitable causes is a BIG DEAL when you’re one man. Money could so easily have corrupted his good nature. God knows we’ve seen greed infect countless people in the entertainment industry – but not Michael. He was a giver till the end, and I’d like him to be remembered that way. So in a nutshell, my favourite thing about Michael is his dedication to helping others. You dance very well and can do a superb imitation of Michael’s signature moves. When and where did you learn to dance? How much practice did it take to develop your skills to this level? What do you like about performing on stage in a Michael Jackson tribute? Is this a work or a hobby? Let me just say that I am very particular these days with my perspective and philosophy about performing Michael Jackson’s material. Firstly, we should remember that it’s just that – Michael’s material, not mine (or anyone else’s). Many tribute artists, or impersonators, try to take the limelight upon themselves by attaching their name in flashing lights and wanting praise on their own personal ability to execute Michael’s look, or his moves. This, for me, is not what it’s about. Performing Michael’s material is storytelling. I’m simply repeating something Michael once did for people to understand about him – not me. For example, if you or I were to repeat the words of a famous philosopher, we would end their quote with their name – not our own. Right? Because we’re telling their story, or repeating their quote. So I feel attaching my own name to a Michael Jackson tribute would no longer make it a Michael Jackson tribute – it’d be a Damien Shields performance where he’s stealing ALL of Michael Jackson’s material. We have to remember that when people cheer for a tribute artist’s moonwalk, they’re really, in essence, cheering for Michael Jackson. So yeah… there’s a fine line, and I’ve certainly taken time to land on these perspectives. As a youngster many years ago I probably embodied many of the things I dislike today. Some fans are skeptical about MJ impersonators and people who try to imitate Michael. Have you ever had to deal with this kind of attitude towards your tribute? Does it bother you at all? There are going to be skeptics, or “haters,” if you’re out there in public doing anything – no matter what it is. I’ve probably had more “hate” as a person, a mere fan with an opinion, than I have had about the tributes I’ve performed in the past. But you’ve got to just Taylor Swift those people and shake it off! And let me just say this: I’m not a Michael Jackson impersonator. The definition of an “impersonator” is “someone who imitates or copies the behavior or actions of another.” The second I step off the stage, the story ends. I’m me. 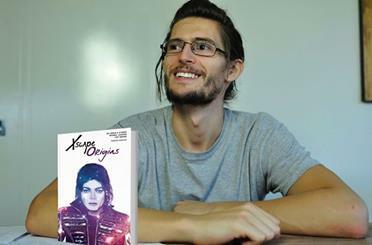 If you want to know more stories about Michael Jackson that I’m willing to tell off stage, read «Xscape Origins,» haha! So, besides performing, you also write about Michael’s art. Your blog is very well known in the fandom, and your articles stand out for being based on diligent research. 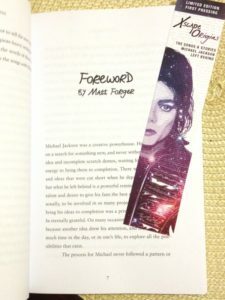 When and why did you start writing about MJ? I started writing about Michael probably before I even realized it. Back in about 2006 the rumours of Michael Jackson’s “comeback” began to swirl, and producers like will.i.am started speaking about collaborating with him in the studio. At that time I created a forum thread – which I used to maintain on both MJJC and later Maximum Jackson when it launched – focused on documenting the comments of the collaborators so fans could keep track of who had said what about Michael’s new music. I also had a contact at Sony Music who provided me with a number of exclusives about upcoming Epic Records releases – such as the Thriller 25 and King of Pop albums in 2008. As time went by my contact list grew. At one point I was working as a “reporter” for Maximum Jackson, and provided the fans with news about Michael’s This Is It tour and a bunch of other things. But I didn’t start writing seriously (and independently) about Michael Jackson until around early 2011, after commencing a fan-initiated investigation regarding the controversial Michael album – released a few months earlier, in late 2010. I started writing the draft of what I had no idea would become a (yet-to-be-completed) book. Now you’ve reached an important milestone — your first book just came out. 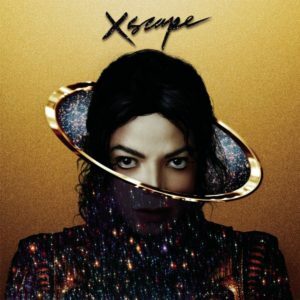 It’s called “Xscape Origins” and talks about the origins of 8 Michael Jackson songs released on the recent Xscape collection. What motivated you to publish this book? As I write in the preface of the «Xscape Origins» book, the motivation was a lack of publicly available information on these eight musical treasures. Although it would not be my personal suggestion that these treasures be released in the first place (at least not this soon after Michael’s passing), I felt that since Sony and The Estate had taken the liberty of making them accessible to the public (which they’re entitled to do), their origins and the backstory of their histories should also be known. These songs are now part of the Michael Jackson lexicon. Literature should be available for anyone who gains access to Michael’s original art and wants to find out how it came to be. Michael always said: “Study the greats.” Now that he – the greatest of them all – is gone, it’s important that information is available so that he, too, can be studied. How long did it take you to write the book, and how many people did you interview for it? From conception to completion this book was a nine-month project. That’s nine months of solid work. Nine months of being available at ALL times of the day, on EVERY day of the week, for interviews, emails, and any other communication that would benefit the body of information I was building and preparing to share with the public. I interviewed approximately twenty of Michael Jackson’s closest musical collaborators for this project. I’ve quoted a dozen of those people. Some of the other information I’ve obtained, and interviews I’ve done but not included in «Xscape Origins,» will likely see the light of day in future projects. In the course of your research, you established contacts and became friends with many of Michael’s creative collaborators. Some of them spoke to you exclusively. What’s your secret in getting people to talk to you? Approach them and treat them like you’d want to be treated – with the utmost respect. Pretty simple, really. They’re regular people like you and I. There’s no secret. From your experience with Michael’s creative partners, would you say that all of them have something in common? Do you think Michael chose them for a particular trait or quality? Yes. What they have in common is they’re incredible, generous, protective people who truly loved Michael. These people are SUCH lovely individuals. I cannot express enough how genuinely nice they all are. It is no wonder Michael Jackson was able to create such magic in the studio with these people. He could really let his guard down with them and allow his mind, body, soul, and spirit to run free and uninhibited with these people by his side. From the stories in your book, it’s very evident how demanding Michael was to the quality of music and how he was mentoring the producers he worked with. They looked up to him and tried their best to create songs that would be up to his standards. Sometimes they even come off as a little star-struck. Do you feel that vibe from them today? Do they perceive Michael as a master or more as an equal now? No one perceives Michael as an equal in hindsight. I got the feeling that his presence, his greatness, and his impact on those he came in contact with was so profound that people still can’t comprehend the reality that they had such intimate access to the greatest artistic force that ever walked planet Earth. What is your personal attitude towards the Xscape project? Is this a release you got in your collection? Do you musically prefer the new remixes or the original versions of the songs? What about the ethical side of it (which has been somewhat controversial)? 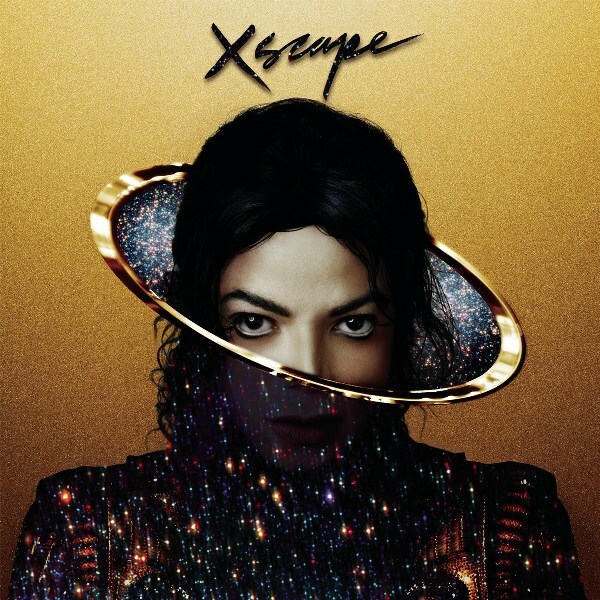 Sony Music and The Estate of Michael Jackson are well within their rights to release the Xscape project. I do not dispute that. I do, however, have a personal opinion (as we all do, one way or another) about things. My personal opinion is not definitive, and it’s no more important than anyone else’s, yet I’ve been criticized for having an opinion, and for expressing it. I don’t necessarily find this fair, but so be it. I think that as long as opinions aren’t postured as facts, expressing them is fine. I’d also like to point out that facts remain true whether you disagree with them or not. I would not personally be releasing Michael Jackson’s unreleased materials so soon after his death. Michael Jackson created and released a wealth of music that, in my opinion, should be being presented to the public first and foremost. Michael is a legacy artist now – he’s not a living pop star with new albums, music videos and performances. I think it’s important to honor his legacy – the things he gave us between 1958 and 2009 – so that he can be cemented in the court of public opinion as the legend and the genius he was. I’ve been accused of referring to Michael Jackson’s unreleased songs as “barrel scrapings” in a negative way – as if I feel they are pieces of rubbish at the bottom of a trash can or something. This is an out-of-context manipulation of my words. Let me be clear: “Scraping the barrel,” in terms of Michael’s music catalog, simply means taking the songs that are at the bottom of the collection. The things Michael never consented to releasing must be considered lower priority than the things he did release, surely. “Billie Jean,” “Earth Song,” and “Man In The Mirror” are examples of things at the top of the “barrel” – things Michael released, performed, and made films for during his life. These are the pieces that, in my opinion, the estate and record label should be creating projects around in the years immediately following Michael’s passing. That said, I’ve never commented on the quality of the things at the bottom of the barrel, other than saying Michael overlooked them for release, which is true. The Xscape album is in my collection. It was gifted to me, so I possess a physical copy of the album. I, however, did not buy it. I have not purchased any “official” products since This Is It. When the Michael album came out, including three fake songs, they lost me as a consumer. This is my personal decision to make, and I don’t begrudge anyone for making a different one. If the estate and record label would be willing to demonstrate care for Michael’s fans (who are the consumers who feed their juggernaut of a machine) by revisiting the issues of the Michael album and resolving them, then I’d be willing to reconsider my position on purchasing products. But as things stand today, they’ve not shown any care for me as a fan or a consumer – or for Michael, for that matter. That’s my opinion. That’s how I feel. To each their own. To answer you about the “contemporized” versions – they are not Michael Jackson songs. I cannot compare them with the original versions. Let me say this… I’m a fan of Stargate. I’m a fan of Justin Timberlake. I like some of Timbaland’s work with JT and other artists. I like some of Rodney Jerkins’ work as well. On its merits, as music, without attaching the “Michael Jackson” name to it, their work can be very enjoyable. If you presented me with the instrumental of “A Place With No Name” or “Do You Know Where Your Children Are” – without the vocals – and asked me: “What do you think of this music?” I’d say: “I like it!” But applying that instrumental, posthumously, to Michael’s vocals, and labeling them as Michael Jackson songs, is not something I like. I don’t feel comfortable with posturing these things as new MJ releases. Sometimes I feel that the way Michael is being presented to us makes him look like more of a gimmick, or a parody of himself, than a legendary legacy artist. That’s my opinion. That’s how I feel. Others will disagree. Others will love that impersonators have filmed HD motion capture footage that was projected and presented to the public as “Michael Jackson like you’ve never seen him before.” And those people are entitled to feel that way. But I don’t subscribe to that being acceptable. Give me a Victory Tour Blu-ray over a pepper’s ghost illusion any day of the week. Speaking of the Michael album, fans know that you have been heavily involved in the investigation of the Cascio songs disaster. Some time ago you organized A Truth Untold campaign to raise money for a book about this issue. Is that project still ongoing? Yes. The book about the Michael album and the controversial Porte-Cascio tracks is still happening. Our 2013 Kickstarter campaign did not reach its funding goal, therefore the 170-odd people who pledged were not charged, and we did not receive a cent of the $20,000-odd we raised. Not being funded has made executing the project very difficult – but we’re not going to let that stop us. Michael’s artistic integrity, his legacy, and the truth are all far too important. The truth will prevail. Michael believed that and so do we. Over the last four years, fans have scrutinized every bit of the publicly available information about the Cascio songs. You have obviously spent more time on this research than most fans, but you also had access to many private sources. Do you have any exclusive information that fans should look forward to hearing? We have made an abundance of exclusive new discoveries that will completely change the landscape regarding this subject. Right now in the fan community there are a lot of theories, but not a lot of facts. People have expressed opinions, but opinions are not definitive. Our book aims to present definitive facts, the untold behind-the-scenes narrative, and provide new information to put the entire situation in context. If we’ve learned one thing during our more than four-year investigation it’s that things are not always as they seem, or as you assume them to be. Do you think of that project as something that would bring closure to the Cascio songs issue? Is closure at all possible for you? It will allow people to view the issue with full disclosure; full access to the facts of the situation. I believe resolution is possible. We need to resolve this issue, rather than dissolve it. So far all that’s been done is dissolution. Things have been swept under the rug, or allowed to go stale out in the sunlight. We cannot keep going around in circles with the same old info that’s on the forums. We’re tired of it and will continue to argue about it unless the FULL story and ALL the facts are presented. Only then can it be resolved. Closure, on the other hand, is something each individual must achieve within himself or herself. How big a place does Michael have in your offline life? Do your work colleagues and friends outside of the fandom know about your passion, your writing projects and participation in tributes? Michael Jackson is a huge part of my life. Everyone who knows me knows my love for Michael Jackson. Michael constantly inspires me in everyday life, be it in regards to charitable causes, my attitude and treatment of others, philosophy, the environment, or a range of other things. Having said that, Michael Jackson does not define me. I am very much my own independent-thinking, independent-acting person. How did June 2009 affect you? Has Michael’s role in your life changed since his passing? June 25, 2009 was the worst day of my life. What was the most important thing you learned from Michael – something that changed your life or the way you do things? I’ve only learned this recently, or should I say started implementing this recently, but diplomacy. Michael Jackson was perhaps the most attacked human being on the face of the earth, yet he responded with so much love and understanding, forgiveness, and resilience. He was the ultimate diplomat. I admire that. I try to be like that where possible. Excellent interview, Damien. I’m looking forward to reading your book very much. Thank you Damien, thank you MJ.ru-team! So interesting interview. Now I’m waiting for a book. Michael is the best, and around him are always the best people. I’m reading your book now Damien and it’s so refreshing to read about so many of Michael’s best qualities and hear from people in the industry that truly felt honored to be working with him and appreciated those moments. I also agreed with so much you said in your interview and I hope that you are able to write the book to expose the indignities that contributed to the «Michael» album. I’m also just a fan who has started to write a book about Michael in gratitude for all that he gave the world and to me during a time when I was badly in need of something to believe in. I think it will take me much longer than nine months but I hope that it will honor him in the same ways you have. Thank you for «promoting» the true Michael Jackson and reminding the world of how truly incredible and unique he was in so many endless ways.